Gannon Associates came to HLA in need of a stand out commercial insurance brochure that would clearly explain the capabilities of the agency in an interactive way, and could be used by their sales team as a leave behind that potential clients would want to keep. 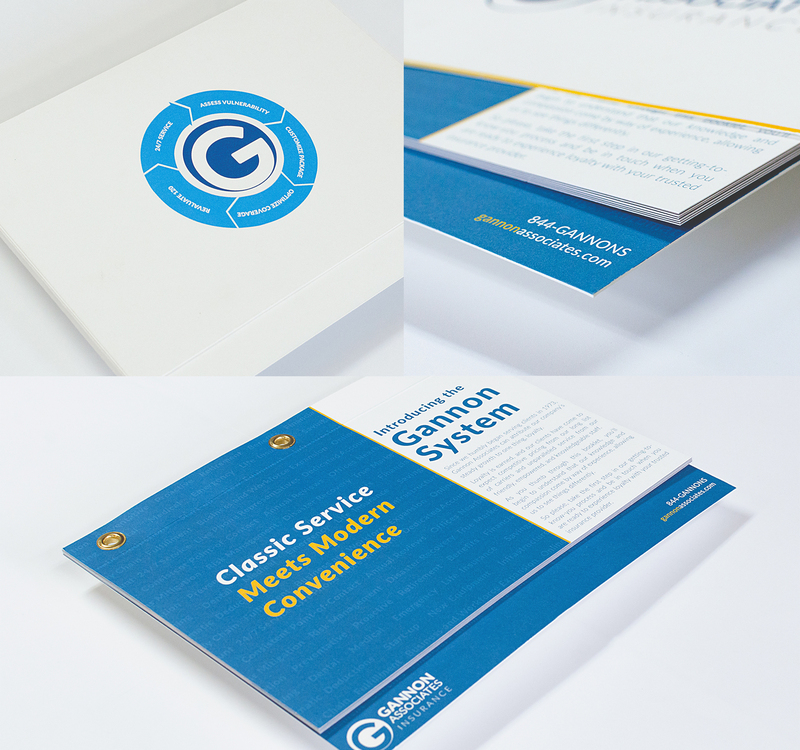 The HLA team worked closely with the client to summarize how potential insurance customers can benefit from Gannon’s services and then demonstrated this through clear and succinct brochure copy, and easy to understand illustrations with an interactive component. A highly interactive capabilities brochure for general corporate use, and for agents to take to client meetings as a leave behind tool. The completely custom piece is designed to encourage engagement and provide a long shelf life.